Recently I was blessed with an opportunity to meet Dom Pius Mary Noonan, OSB, founder of the Notre Dame Priory in Tasmanian, Australia, and to spend some days with his burgeoning community of Benedictine monks. 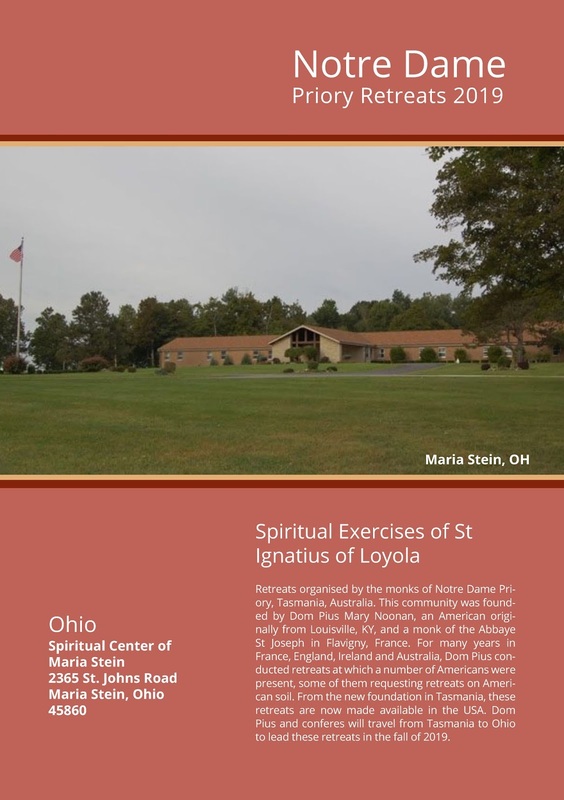 Like Norcia and Silverstream, this monastery follows the traditional monastic Office and Holy Mass. 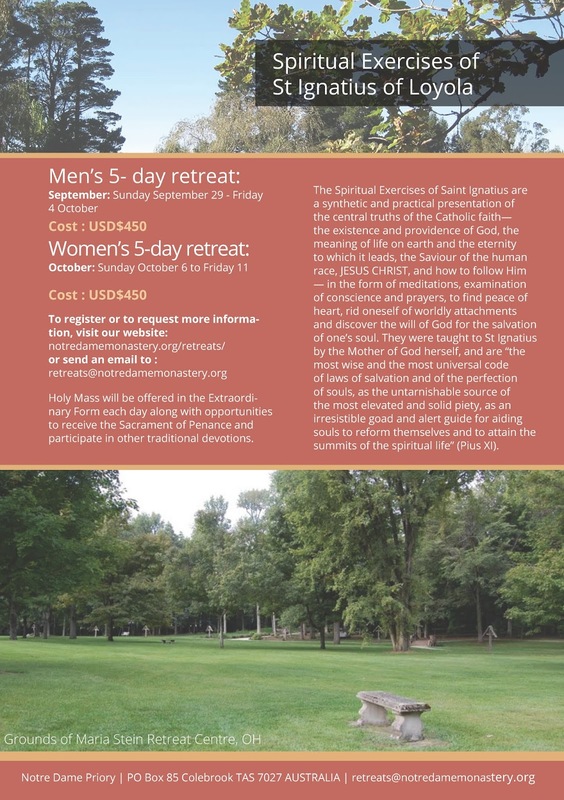 Dom Pius asked me to share with readers of Rorate the announcement about retreats that he and confreres will lead in Ohio in late September and early October 2019. Places are available on a first-come, first-serve basis, so those who are interested in attending should request information or register sooner rather than later. Noteworthy is the availability of daily Mass in the usus antiquior, still a relative rarity at retreats -- something we hope will soon change, as there is clearly a need for this to be offered in more and more places. The flyer is copied below.